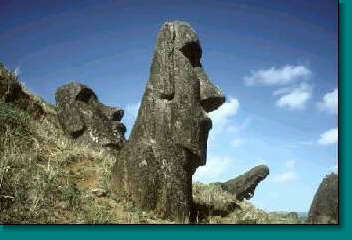 A Chilean-German DXpedition will activate Easter Island (CQ Zone 12, IOTA SA-001) between March 04 and March 19, 2001. The callsign will be 3GØY. Click here to take a free stage tour! The performance will take place on all HF bands, mainly in CW/RTTY, with an emphasis on the low bands and the WARC bands, including 30m. Click here to see pictures of the operators. 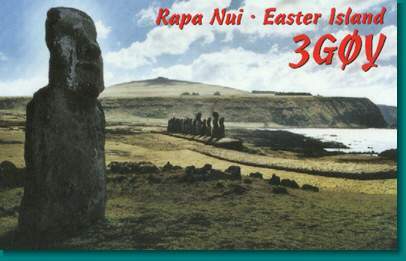 An online log will be available here on the 3G0Y news page during and after the DXpedition. Click here to read about the latest news of the DXpedition. Be sure to include a SAE and 1 IRC or 2 US$ for return postage. Extra donations are welcome.